Alongside the Get Famous expansions pack, The Sims 4 is finally getting terrain manipulation tools in a free update. I got an hour-long advanced look at the new update and expansion, including about 15 minutes to play with the terrain tools, and , they look like they’re going to be worth the wait. The Sims 3 launched with terrain manipulation tools, and while they were cool, I always found them a bit fiddly. The Sims 4, which released in 2014, did not have any terrain manipulation tools, instead launching with a set number of flat plots. That made it easier to build houses, but all of the available plots of land to build on ended up feeling same-y after a while. 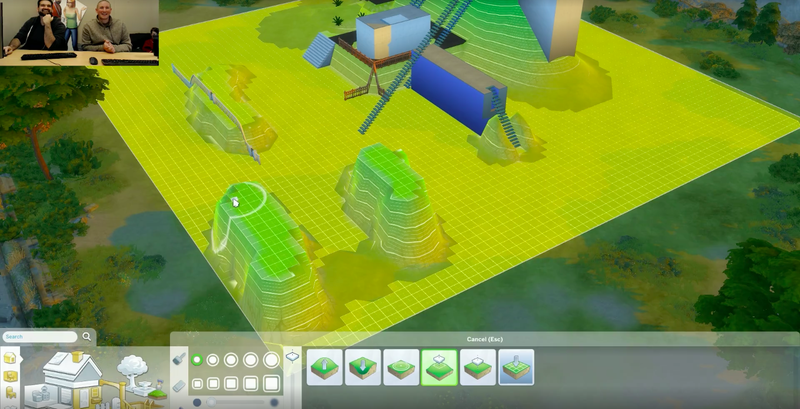 The tools that will be available in the upcoming Sims 4 update, which were announced in a live stream on October 11th, appear to split the difference between letting you create deep valleys and tall hills while also giving you a realistic amount of terrain to actually build on. Recently, The Sims’s development team has started hosting live streams to update the community about what they’re working on. At the end of the inaugural one on in October, as community manager Kate Olmstead, producer David Miotke, and senior designer Jeff Mitchell were saying goodbye, another member of the development team quietly grabbed the mouse and started messing around in a lot, making an huge hill and building on it as the fans watching freaked out. Sims fans have been asking for terrain tools for years, and popular Sims YouTuber LilSimsie cried during the announcement. “I would definitely consider this an advanced user feature, but I will say it behaves better than the previous versions of terrain manipulation in the past,” Miotke said. It is a bit finicky, but after clicking around a bit, I got the hang of it. You can raise or lower the terrain as well as smooth out the hills and valleys, or flatten them. You’ll only be able to build on flat portions of the terrain, but these areas are very clearly indicated, and there’s also a “flatten to height” tool. This way you can raise the terrain to a specific height, but also create a perfectly flat foundation to build on. You will be able to create a little bit of a split level effect, but foundations need to be on one continuous height. If you want to build a dog house on a hill and an accompanying house for humans down in a valley, that’s fine, but they won’t be able to be joined together. Miotke said that Get Famous has plenty of bigger lots, which will allow players to fool around with the terrain tools, and that he’s excited to see what players do with them. “I really think our engineers who worked on this were super rock stars. They were very passionate about doing this, and I am really stoked to see some gallery lots that get uploaded,” Miotke said. EA flew out a few Sims YouTubers to play the upcoming expansion and tool around with terrain manipulation, and Miotke said that even just watching what they were doing was inspiring. “I’m like, yep, this is going to be awesome,” he said.